Kerrits introduces flow rise to their popular performance tights. This unique 2" waistband is anatomically correct, with a higher rise in the back and a slightly lower rise in the front to complement your position in the saddle. 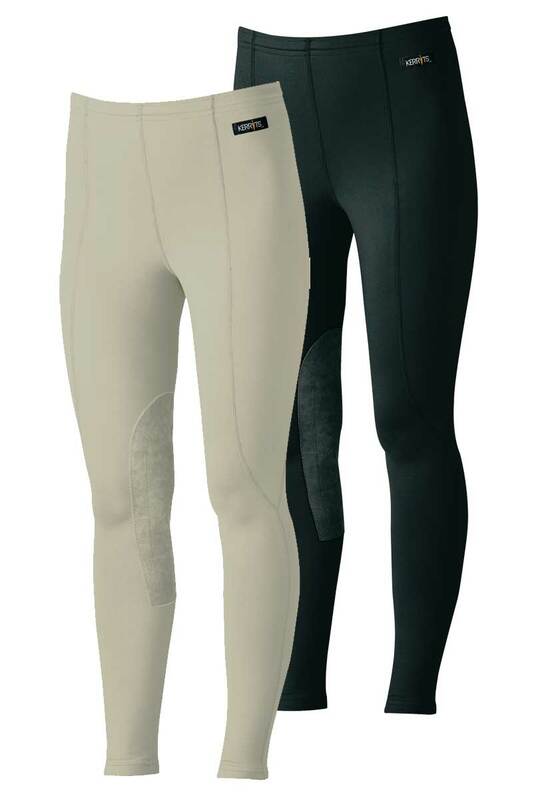 Featuring no chafing, moisture wicking, and breathability, these tights are a great addition to your equestrian apparel. Offers total freedom of movement because the 2” waistband is comfortable and keeps tights in place. Flat, no-chafe seams for added stretch and comfort.